I am drawn to flowers. I love to see them blooming in a garden setting and along the roadside in brilliant waves of native wildflowers. I love the joy they bring and the difference they make in a home’s décor. I have a vision of planting “bouquet gardens” in my home’s landscape. These “bouquet gardens” would be small and manageable plots of complementary perennial and annual flowers and woody flowering shrubs that when cut and gathered would combine for a beautiful effect. 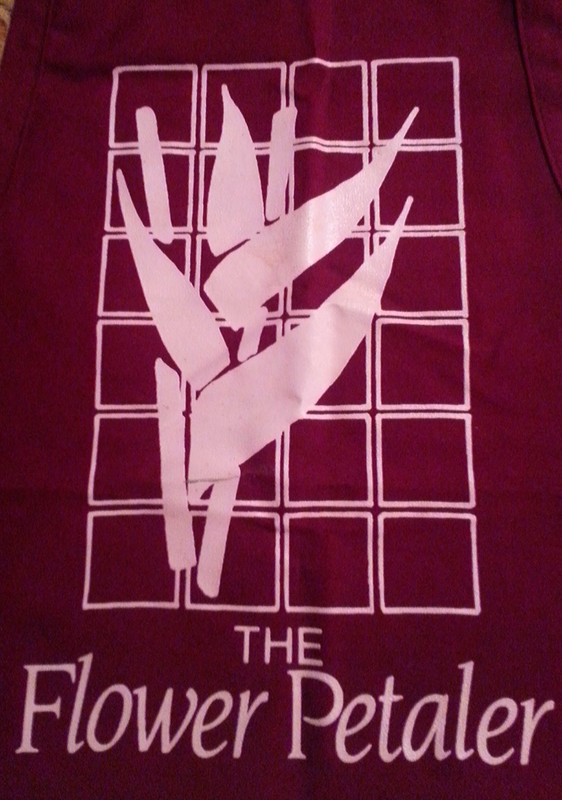 There was a time in my life that I owned a floral shop. I named it The Flower Petaler. The shop (it was a lovely glassed in kiosk located in a small indoor mall) was fashioned after the “bucket style” shops in New York City. I offered buckets of loose flowers to customers to mix and match and create their unique expression. I was not a “trained” florist, I was a flower merchant. I sold stemmed flowers, most often made into bouquets and at times (when requested) arranged in interesting ways in fun containers. Owning the stop was an experience of a lifetime. What I enjoyed most was seeing the joy, comfort and meaning that an expression of flowers offer. 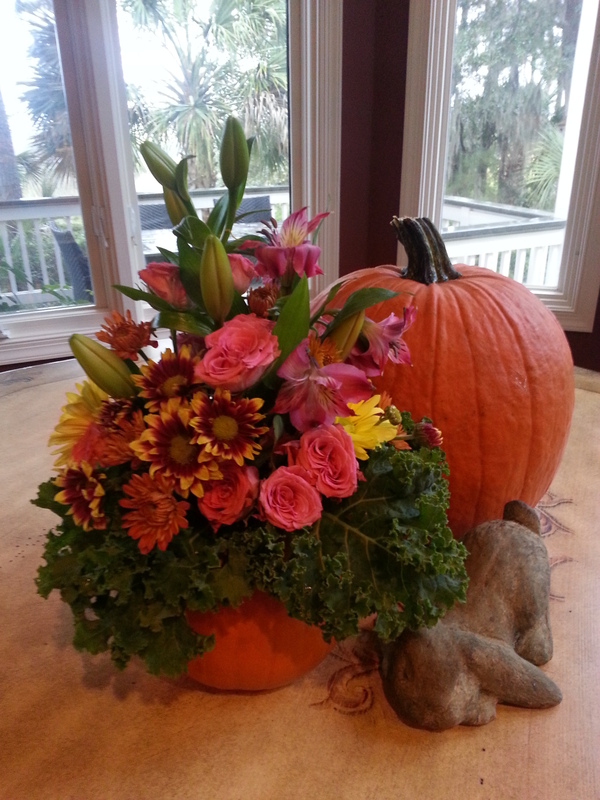 Recently, The Nesting Place, a blog I enjoy posted The Secret to a Charming Grocery Store Centerpiece. The spectacular arrangement below is the result of the step-by-step instructions offered in the post. 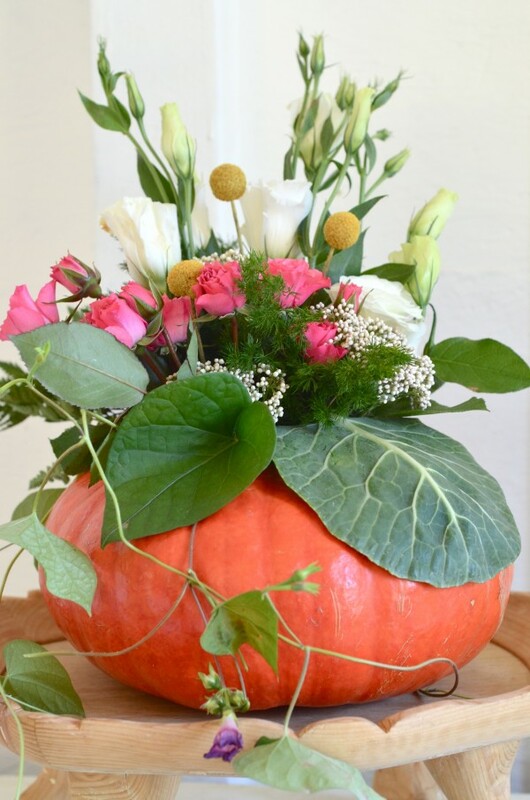 I love the use of the pumpkin as the container and the use of collard greens to add weight to the arrangement. The way the flowers and greenery are arranged is to me very much like a bouquet of flowers. This is probably why I find the arrangement so striking. I was inspired and decided to give it a try. As directed in the post I purchased pumpkins, three (for $12) bouquets and kale (I could not find collard greens). The ruffled edges of the kale provide some added dimension. I followed the steps outlined in the post – it couldn’t have been easier and I love the result. I hope you agree. See the results in the picture below of my first effort. I gave this arrangement to a friend who has been feeling a bit under the weather. The smile on her face took me back to my days as The Flower Petaler. She marveled at the pumpkin, laughed at the use of kale and appreciated the gesture. We chuckled that if desired you could roast the pumpkin (I purchased an organic pumpkin) and sauté the kale for dinner! It has been a long time since I created and delivered a flower arrangement – I realized that I don’t need to have a shop to create lovely arrangements to witness the joy it brings to others. My kitchen island works just as well! I am anxious to make another arrangement. It will most likely be for a shared Thanksgiving tablescape. I plan to use sunflowers, one of my very favorite flowers. Their sunny faces will be most welcome as the days turn a bit darker and the skies a bit more gray. Stay tuned.